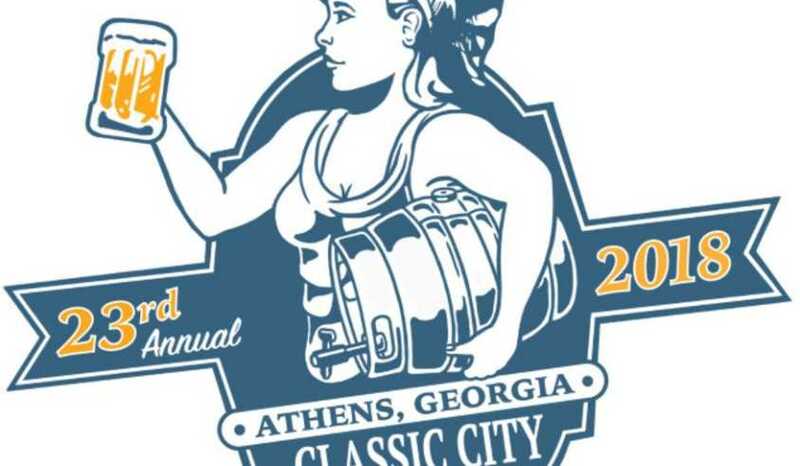 ATHENS, GA—Classic City Brew Fest, the longest running beer fest in the Southeast, will be held at Athens Cotton Press, 149 Oneta Street, Athens, on Sunday, April 15th from 2:30 to 6:00 P.M.
For 22 years, this award-winning festival has presented the best rare, regional and world craft beers and hase been named a top beer fest by both USA Today and Beer Connoisseur Magazine. This year the event will be held at a new venue, Athens Cotton Press, a trendy, attractive, open space in an historic building which once housed Atlantic Compress Company&apos;s cotton press. The event features a new format focusing on cask ales and special local draft beers; there will be over 55 unique cask ales and booths from Athens breweries such as Akademia, Creature Comforts, Southern Brewing Company and Terrapin. Rare, special beers will be uncapped each hour! Every ticket is a VIP ticket and provides patrons with a souvenir taster cup to sample all the beers, collectible program and live music by Irish pub band, Repent At Leisure. Tickets are $43.50 per person plus fees. Patrons must be 21 and over with valid I.D. presented at the door. No children or pets are allowed. Tickets are limited and are $43.50 plus fees. Patrons are encouraged to purchase them in advance as this event will more than likely sell out. There is limited parking at Athens Cotton Prress so patrons are encouraged to carpool and utilize Lyft and Uber. Trappeze Pub, 269 Hull Street, will offer a free shuttle bus that will run between downtown and Athens Cotton Press at the beginning and end of the event. There will be no refund of tickets for any reason. The event takes place rain or shine. 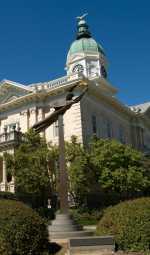 All proceeds from Classic City Brew Fest benefit Athens Area Humane Society. Brew Fest ranks as one of AAHS&apos; biggest fundraisers of the year. Last year the event raised almost $10,000. Athens Area Humane Society is a donor supported no-kill, 501(c)3 organization dedicated to lowering area euthanasia rates through adoption, spay/neuter, and pet retention programs. AAHS operates a low cost spay/neuter facility that is open to the public Monday through Thursday. The adoption center is open seven days a week. Organizer Owen Ogletree comments, "We are so excited for the new format this year. We listened to attendees and have changed to a more cask ale focus. Our exclusive, one-off cask ales have always been everyone&apos;s favorite part of the festival, along with the local draft booths. So, we are reducing the number of tickets sold this year and offering exclusive cask ales, local draft booths from all the Athens breweries, and a couple of &apos;special treat&apos; bottle tables with selections that will blow attendees&apos; minds. It will be an epic day for lovers of craft beer. And as always, it is great to help the animals at the Humane Society."